We’re a 3M Certified Installation Company: What Kind of Vinyl Wrap Can We Install For You? If you’ve ever had experience using vinyl in your company signage, you know how durable of a material it is when used out in the elements. It’s also one of the best materials for showcasing graphics because of its ability to showcase better graphical clarity in colors. When you apply vinyl wraps to cars,trucks,vans,box trucks, the possibilities are endless on the impression you’ll make on those viewing your signs outdoors or indoors. 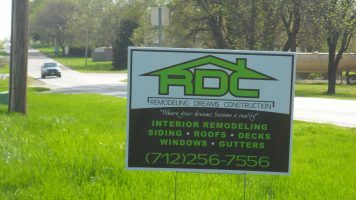 Proper installation is a must, though, and not every sign company dealing in vinyl wraps is properly certified. What you possibly didn’t know is that we’re a 3M Certified Installation Company here at Revolution Wraps. We’re also the only company in the state of Nebraska to hold not only this title, but also being a PDAA VIP Master Certified Installation Company, and an Avery CWI Certified Installer. While this might not mean anything to you initially, it’s imperative you have a sign and graphic company know what they’re doing when installing wraps. Someone who doesn’t have certification could easily make the wrap look less than appealing. Any little glitch in installing wraps on a wall or a vehicle makes you look unprofessional with potential of ruining your reputation. It could also become an expensive mess that you don’t want to spend extra money fixing. With our experience in installing well over 4,000 vehicle wraps for companies throughout Nebraska, we want to do the same for you. Based on our certification, what kind of wraps would benefit your company this year? When you see how amazing wraps look and where you can place them, you’ll realize it’s one of the best advertising methods available today. A popular choice today for many of our clients is applying a wrap on a giant wall outside or inside. Wraps are a smart choice because they’re so easy to apply and remove when you need quick changes. Wraps are also easy to print on in large sizes. 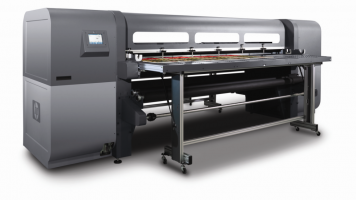 Using digital printing on flatbed printers, images pop out almost like 3D at any size. If you have a blank wall on the outside of your business where you’d like to showcase a large image, we’ll apply a wrap there with imagery of your choice. These work just as effectively indoors as well, especially if you’re selling a product and want a giant image of it in stunning detail. Much like wall murals, wraps are easily usable as general storefront or interior signage in your business. Perhaps your business is in a location that’s hard to notice from a main road. By using a large-scale wrap on your storefront, you’ll stand out from a considerable distance and attract those curious of the imagery you use. The same goes for interior signage when you want to create lifelike images. Many of our clients like creating wraps that mimic reality, like depicting a natural environment on a large wall. This isn’t to say you can’t use smaller scale wraps. They’re easily usable on any surface and shape, which means you can use wraps around any object in your store. One of our true specialties here at Revolution Wraps is creating wraps on vehicles, including fleet vehicles for companies. Vehicle wraps are extremely popular now because it’s a more affordable option for advertising as company vehicles travel America’s highways. Due to billboard advertising becoming outrageously expensive in recent years, a vehicle wrap makes more of an impression anyway. The creative possibilities are numerous with vehicle wraps, and we’ll work with you to find imagery that sends a strong statement about who you are. Contact us here at Revolution Wraps to learn more about our wrap installation certifications. We’re there for you as the best graphic and sign company that cares about commitment to proper installation so you look professional.